the method that applies to you. You will be redirected to Coke Catalog home page. If you receive an invalid username/password message, you may need to contact the Global Support Center for assistance - click here to chat online. Click "Next". Skip to Step #9 if have already confirmed your external account. If not, you will continue authenticating your account. 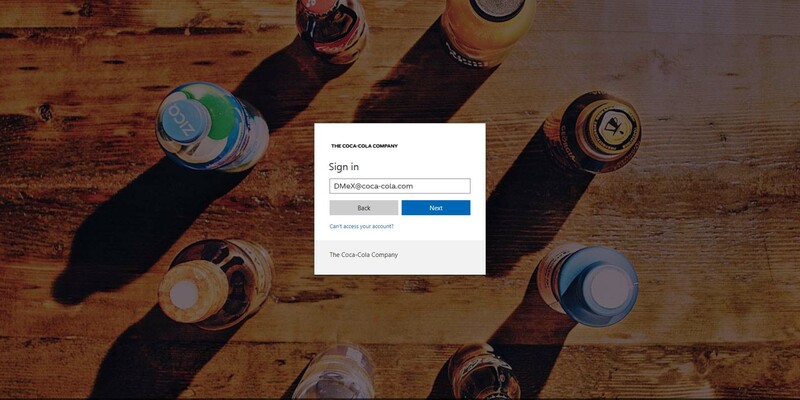 Enter your username and password and click "Sign On"
You are now signed into Coke Catalog. If your email domain (ex. @domain.com) isn't a registered organization, please provide more information. A confirmation email will be sent with instructions to continue registration. 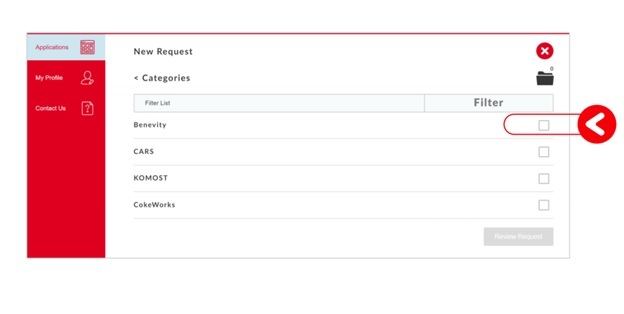 From the link in the confirmation Email, provide all required fields to setup your account. IMPORTANT: In the "Coca-Cola Sponsor" field enter "cokecatalog@coca-cola.com". From the link in the confirmation Email, provide all required fields to setup your account. IMPORTANT: In the "Coca-Cola Sponsor" field enter "cokecatalog@coca-cola.com" who will review requests for approval. 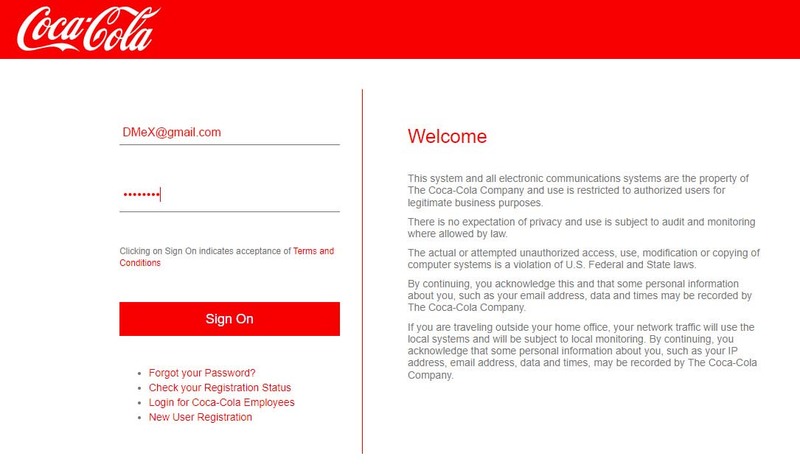 Approved email domains won't need Sponsor Approval, but still need to enter "cokecatalog@coca-cola.com" to complete registration. The Coke Catalog team does not manage this process and cannot expedite your request. When your registration is approved and you receive the approval email, click the link and login to the external access portal. 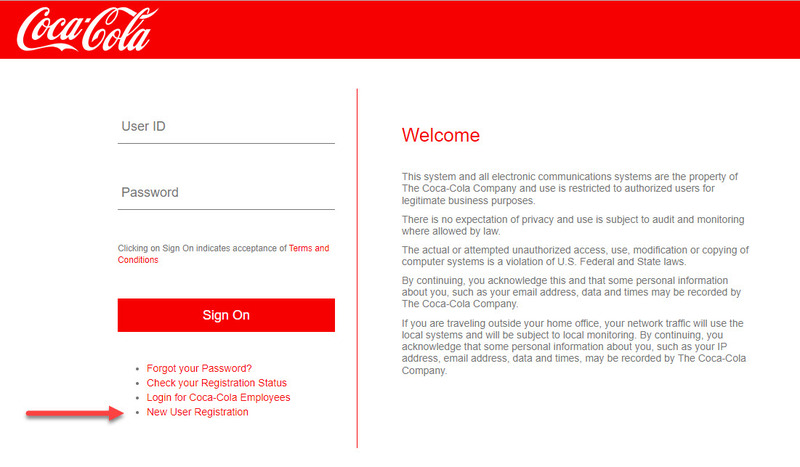 Click the red plus sign icon to request access to Coke Catalog. Click Browse Applications to access a list of available applications. Locate Coke Catalog in the list of applications. Click the check box next to Coke Catalog. Click Review Request. 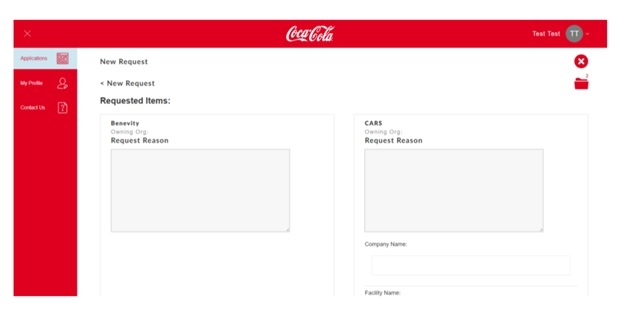 Fill out the Request Reason form for Coke Catalog. Click Submit Request at the bottom of the page. You will receive an email when your access is approved. 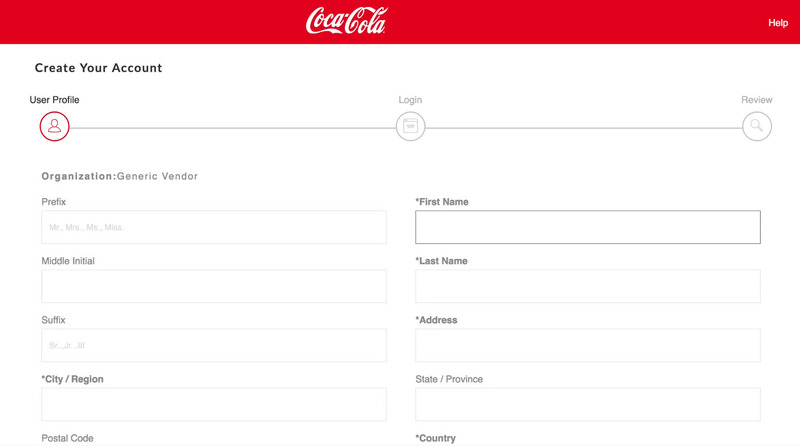 Once approved for access to Coke Catalog, login to the Coke Catalog site and fill out and submit the form indicating your user type. Your registration to Coke Catalog is now fully complete.